The AR530 industrial switching routers are industrial gateways that are designed to work in harsh environments. They integrate routing, switching, security, and Advanced Metering Infrastructure (AMI) functions and provide a variety of extensions. Compared with enterprise routers, industrial routers are more applicable to harsh industrial environments because their components are more strictly selected. 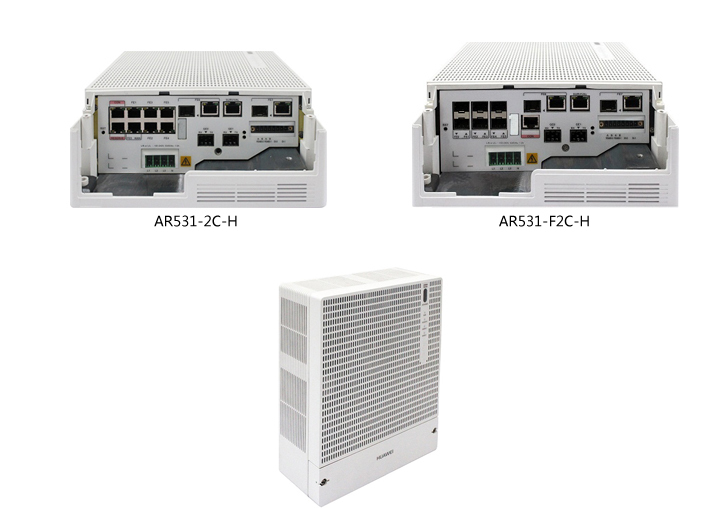 The AR530 uses a wider temperature range and a fan-less design and provides Ingress Protection 51 (IP51). With these key technologies, the AR530 is high- and low-temperature resistant, dustproof, waterproof, and can resist electro-magnetic interference. The AR530 uses a modular design and integrates various types of interfaces, such as FE, SFP, and RS485. It can connect to various types of meters and communicate with devices in neighboring sites, thereby meeting different scenario requirements. The AR530 provides AMI centralized meter reading services. It can automatically collect meter and status data, analyze and store data in a centralized manner, and send data to the front end processor and Meter Data Management System (MDMS). The AR530 provides uplink, downlink, and local networking, thereby meeting the requirements of the Internet of Things in the electricity industry. Integrates the routing and data collection functions and provides various types of interfaces, such as FE, GE, and RS485. Supports switching and Smart Ethernet Protection (SEP), implementing millisecond-level protection switch-over. Has a built-in, zone-based firewall, ensuring production security. Complies with substation environment standard IEC61850-3/IEEE1613. Provides IP51 and is dustproof and waterproof. Uses a fan-less design and works at temperatures from –40°C to +70°C. Works normally in environments that have strong electro-magnetic interference. Open protocol standards: Complies with IEC62056 (DLMS/COSEM) and inter-works easily with other devices. Flexible configuration and management: Allows you to flexibly configure data collection services to meet customized customer requirements. Also known as AR530 Series IoT Gateways. These are Rugged switching routers designed for a broad range of applications — from Smart Grid electric utilities and industrial switching ring networks to video surveillance and various IoT scenarios.